The worlds largest ship breaking yard is reviving after struggling for years with environmental issues and poor infrastructure. Workers and their supervisors at the world's largest ship breaking yard at Alang, in coastal South Gujarat, are busy these days. For someone who had seen this graveyard of ships a decade ago with its poor infrastructure, filth, unskilled labourers carelessly using gas cutters, oil tainted black shores and unkempt heaps of scrap and steel, the new Alang is sure to be a surprise. Almost all the workers wear helmets, safety jackets and boots. Someone rushes with helmets and instructs us on the precautions to be taken while going near the ships. Most yards have clean and cemented platforms. Scrapped steel, computers and huge engine parts are properly stored in neat and clean temporary storage facilities. Even half scrapped ships display red ribbon warning signs to workers on duty. "Tomorrow a team from Japan is coming for quality certification inspection of our yard," explains a supervisor in one of the yards. If Alang was going through the worst crisis period in its 35 year history until a couple of years ago, its fortune is now reversing. The deserted scrapping beaches are now full with ships. About 90 ships of various sizes and ages are awaiting their turn for dismantling, ending voyages across the seven seas. Back in Bhavnagar city, about 50 kilometres from Alang, ship recycling company owners wear broad happy smiles and are busy firming up deals with scrap dealers, steel re-rollers, logistics suppliers and buyers of second hand electrical items, furniture, computer and kitchen cabinets. They know their fortunes are changing after years of gloom. A key decision by the European Union this year may also catapult their business to new heights. The business dynamics of the ship recycling industry is an interesting paradox. If the global shipping industry is going through a good cycle, the recyclers will become jobless. If the global shipping industry is performing badly, the recyclers will get good business as more ships will be sent to scrapping yards. "The current global economic tide favours them, especially the Asian yards at Alang in Gujarat, Gadani in Pakistan, and Chittagong in Bangladesh which account for 75 per cent of the 1000 plus ships scrapped every year globally. Alang is the largest in the world with a capacity of 450 ships a year and re-rollable steel capacity of 4.5 million tonne per annum with a turnover of over Rs 6,000-Rs 7,000 crore a year," says Anand Hiramath, an expert with Green Ship Recycling Experts, GMS in Bhavnagar. In August last year, the world's seventh largest container shipping company Hanjin of Korea filed for bankruptcy. More such news from other parts of the world is coming, due to over capacity, shift in sea trade dynamics and unviable shipping charges that have fallen almost by half when compared to the rates a couple of years ago. The Baltic Dry index which measures freight rates for commodity bulk carriers has fallen by 95 per cent since its peak in 2008. Of the top 12 shipping companies in the world, 11 are posting quarter-on- quarter losses. The global shipping industry may lose as much as $10 billion on revenues of $170 billion in 2017, estimates industry experts. "We estimate this cycle to be a few good years ahead for Alang as even post 2000 built ships are now coming for recycling", says Komalkant Sharma, Chairman and Managing Director of Leela Group of Companies in Bhavnagar, one of the largest ship recyclers with four yards in Alang. Alangs best year was 2011/12, when it broke 415 ships with an LDT of 38,53,879 metric tonnes (MT), thanks to after effects of the global financial crisis. (Light displacement, or LDT, is the weight of the ship excluding cargo, fuel, water, ballast, stores, passengers, crew, but with water in boilers to steaming level). From there, it was a steep fall. The number of ships in 2012/13 fell to 394 ships and then 298 ships in 2013/14. The next year, it went down further to 275 ships and in 2015/16 there were only 249 ships, according to data from the Ship Recycling Industries Association (India) (See Turning the Tide). "Upto September 2016, we did around 123 ships with LDT of 12,66,004 MT and currently there are 90 ships in the yard. 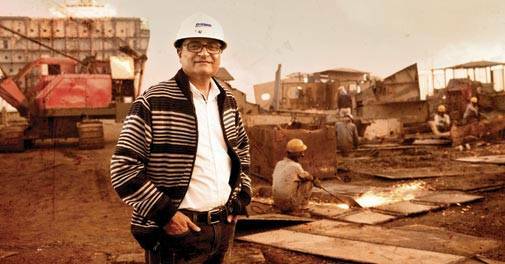 We are likely to end this year with a better performance as demand and price for scrapped steel has picked up", says Ramesh Agaarwal, Secretary of the Ship Recycling Industries Association (India) and owner of Hoogly Shipbreakers. 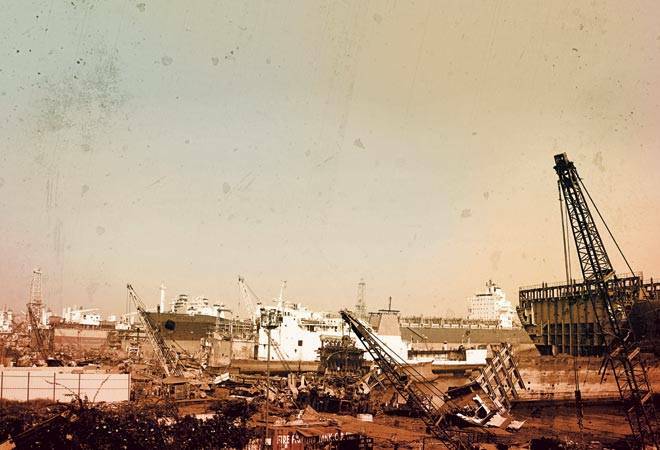 The situation was different until a couple of years ago, asserts Haresh Parmar, owner of Shiv Ship Breaking Company and an office bearer of the association. "The yards were full in the 2008-12 period and thereafter it was a big crisis for us. At least 15-20 ship recyclers (of about 80-90) went bankrupt and exited the business in the last few years," he says. But yearly scrapping data does not reflect the real crisis which Parmar talks about. Post 2012, China started dumping steel into India at prices even lower than scrapped steel or secondary steel. That made business unviable for most recyclers as steel re-rolling mills stopped buying raw material from them. More than 70 per cent of what they get from scrapped ships is steel sheets cut out from the hulls and the rest are electrical fittings to furniture, nuts and bolts. India imposed anti-dumping duty measures against cheap steel imports from China last year and that helped the recyclers take advantage of the global shipping crisis. "In the current year we are getting prices at an average `23,000 per tonne, where as steel prices fell upto `500-1000 per tonne a couple of years ago," says Agaarwal. The story of Alangs transformation is interesting. Alang-Sosiya Ship Recycling Yard was developed by the Gujarat Maritime Board (GMB) in 1982. The 12 km long beaches along the Alang Sosiya villages are firm and sandy. They were found suitable for the 'beaching method' of ship breaking (ships hauled to shores during high tide and then scrapped). During high tides, water level rises upto 33 feet (normal high tides in Indian coasts are only upto 14-15 feet) which makes it easier to haul ships to the shore. "There are 167 plots available for ship recycling at Alang spread over a 10 km stretch and of this 110 are currently operational. Alang can beach even ships of over 50,000 LDT," says Vijay Agarwal, Chief Operating Officer, Ships division of Leela Group. The first vessel, MV Kota Tenjong was beached at Alang in February 1983 and by early 90s over 100 ships were scrapped in a year. In the 2000-05 period, Alang regularly scrapped over 300 ships in a year but soon controversies hit Alang, gaining international attention. Environmental pollution and workers safety were the main issues. Every year, about 15-20 accidental deaths of workers became a common phenomenon. Environmentalists across the globe including Greenpeace also fought against dumping of toxic materials like asbestos, radiation causing toxic wastes, polyurethane and used furnace oil polluting the beaches. Many scrap merchants had become ship recyclers in Alang and lack of knowledge of international ship breaking methods and standards was an issue. Soon the government and the Supreme Court intervened. The Supreme Court has been constantly monitoring the dumping of hazardous wastes into the country since 1995 and directed a High Power Committee to study all aspects of ship recycling. The apex court guidelines on sustainable ship recycling suggested detailed procedures to be followed during import of obsolete ships. These included consent from maritime board after inspecting for hazardous wastes and radioactive substances, decontamination of ships before hauling to breaking yards and submitting a complete inventory of hazardous and non-hazardous wastes on board. The court also directed the GMB and the state pollution control board to strictly comply with 'Prevention of Fire and Accidents for Safety and Welfare of Workers and Protection of Environment during Ship breaking Activities Regulations 2000'. The Supreme Court also banned import of all hazardous and toxic wastes which had been identified under the BASEL Convention and its different protocols. The Hong Kong International Convention for the Safe and Environmentally Sound Recycling of Ships, 2009 (the Hong Kong Convention initiated by the International Maritime Organisation was actually inspired by the Indian Supreme Court interventions), was adopted by 63 countries to address all the issues around ship recycling, including ways to handle environmentally hazardous substances such as asbestos, heavy metals, hydrocarbons, ozone-depleting substances and concerns related to the working and environmental conditions at many of the worlds ship recycling locations. 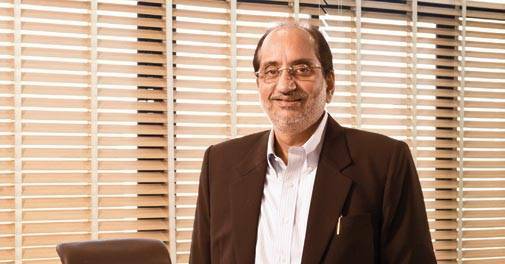 Rakesh Reniwal, Director of Hariyana Group, another major ship recycler for decades, says now accidents and deaths at the workplace have come down drastically after the green initiatives. Alang Sosiya directly employs close to 40,000 workers and about a lakh people are indirectly employed with the ship breaking activities. Alang has some 750 shops selling everything in a ship from cutlery to ropes to furniture and computers. Anticipating greener pastures, for the time-being ship breakers are intensifying their green initiatives. The year 2017 can be a landmark for Alang if the European Union accepts it as a green destination for recycling ships. Denmark and India have already announced their intention to accede to the Hong Kong International Convention for the Safe and Environmentally Sound Recycling of Ships. Already five yards in Alang have applied for European Commission approval. Compared to competitors Bangladesh and Pakistan, India is much ahead in modern ship recycling practices, they claim. For the time-being, the recyclers in Alang are busy reaping benefits of the stormy waters of the global shipping industry.